Most people think that the “cost per square foot” of a house is one of the best ways to determine whether it’s a good value. New home builders have to deal with this every day, and the truth is typically not what the client wants to hear. So, how much will my house cost per square foot? The location and easy access to your building site. With no knowledge of all of those factors, it’s always tough to give square footage cost. Estimates are provided to future homeowners dependent on what builders are going to charge approximately on the “per sq.foot” basis. This “cost per square foot” is far from the final price. Nevertheless, to the customer, it gives the indication of what the cost of their new home is going to be. 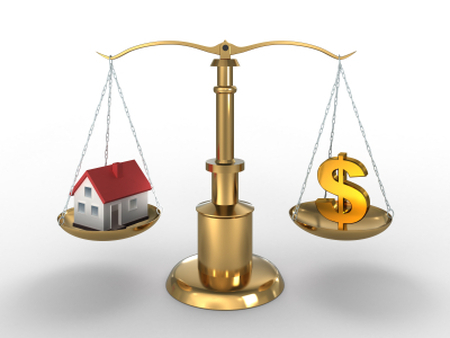 How Does the “Price Per Square Foot” Assist In Determining Worth? In short, it doesn’t. You can’t take the average price-per-square-foot and multiply it by the square footage of the home you are buying. It doesn’t work that way. The pricing per-square-foot merely gives you average or median ranges; it shows you trends. It can’t compute the value. Acreage that’s never been built on may be governed by development fees, lot levies, school levies and also there are always building permit expenses to take into consideration. The cost of water and also sewer connections, electrical together with natural gas hookups all need to be thought of. Building permits are essential for new construction, temporary buildings as well as for modifications to the pre-existing structure. You should take a look at building requirements with Town staff before commencing a project. The price tag on building permits is dependent upon the nature and scope of the work being carried out. To quote a lower cost, a builder can opt to hire the low-bid carpenter, plumber or drywaller on your home. The value of caring craftsmen shows up when you have annoying air leaks around your new windows, doors that close by themselves or poor water pressure in your master bathroom. Site requirements influence the price. One of the initial concerns is an amount of working room. Is there space on the site to hold excessive dirt, materials along with equipment? Is this site flat and does it slope? The answer to which will cost more is apparent. Tree shielding can also be an issue in lots of municipalities and the existence of a big tree that should be preserved impacts on the amount of available work area around it. The size of homes will certainly affect the cost of building a home. The larger it is, the more it will cost in total dollars. Having said that, the larger it is, the less it’ll cost per square foot. When room dimensions increase, the amount of materials that go into building the room doesn’t necessarily expand at the same rate. To provide an example: there is only one kitchen, no matter is a home 1200 sq.ft., or 2000. Nevertheless, the floor covering increases in direct proportion to the size of space. Thus, although a Twelve hundred square foot house could cost $200 per square foot to create, a four thousand square foot home might cost $180 for every sq. ft . to build. Your price includes granite countertops! But which granite, the $40 per sq. ft. or the $100 per sq. ft granite? Are the included hardwood floors 3/4” or the cheaper 3/8” thickness? Seeing on a builder’s specifications sheet that granite countertops and hardwood floors are included is insufficient for comparing different builders’ cost per square foot prices. This relates to the material used. Kind of outside finish (i.e., siding vs. stone) in addition to interior finish – flooring materials, cabinets, counter tops, and electrical and plumbing fixtures virtually all change the selling price. Furthermore, labor expenses may vary solely by kind of materials – marble and travertine tile will be more expensive to install compared to ceramic or porcelain tile. They are the products that are within the walls that you just will never see, plus the products in the mechanical room. The regular residence may have fiberglass insulation plus a gas furnace. A custom residence might have additional expensive spray foam insulation, and high-efficiency furnaces can be combined with air exchanges and electronic air cleaners, and in floor heat to raise the degree of comfort for occupants. Because of expensive cabinetry, countertops, faucets, tile floors, appliances and plumbing fixtures, your kitchen selections alone could increase your home’s overall cost by $10-20 per square foot! Also, raising cost without increasing square footage are fireplaces, lighting, window treatments, and even paint—many builders charge $100 or more each time you change paint colors. So, what does a newly built home in Southern Ontario cost these days? Most custom builders in Ontario will work out the price within the array of $150 per square foot to $300 per square foot. The majority of semi-customs are built at $200 per square foot, depending on size, design, systems, finishes, location, etc. Unfortunately, the only way to be sure that your home building budget is reasonable is to identify and price every item that will be used to build your home and bid all of the associated subcontracts and labor costs. Of course, to do that, you will need to have plans and specifications, and you will need to develop a complete and thorough estimate for your project. A house built to code is a house that meets the minimum building requirements for a new house in Ontario! The obvious problem here is that not many people want to buy a dozen different house plans and then spend weeks or months pricing them to determine which one they can afford to build. So, a more realistic approach to determining how much your new home will cost might be just to work backward. Start by determining how much you can afford to spend, then be realistic about the size of the house you need, and finally, decide what and where you can afford to build. An all-brick home may be hundreds of square feet bigger than the same home with siding! Was the second-story area of a 2-story high entry foyer included? It’s heated space, but it isn’t “walkable” square footage. Such differences can dramatically impact the home’s reported square footage and thus its cost per square foot! We hear horror stories of builders who will quote a low price per square foot and then pound the buyer with extras after the job is started. Contact your builder’s references! Have you thought about the cost per square foot of your new home warranty? Warranty policies vary by builder! “Production” builders, repeatedly building the same portfolio of plans, developing entire neighborhoods and offering less personalization can most quickly quote you a price per square foot. With fixed standards, their economies of scale typically enable them to provide the lowest cost per square foot. Builder A includes and hardwood flooring, Builder B figures carpet. Builder C includes full sod and a generous landscaping allowance, Builder D’s price only includes grass seed. Was a concrete driveway covered? Don’t laugh! Such factors don’t affect the size of your home but affect the cost per square foot. Semi-custom builders offer a wider variety of home designs, building sites, personalization and finish selections for your home. Initially, they may quote you a broad price range, such as “$100 to $200 per square foot depending on what you want” reflecting many of the variables addressed. As you make decisions, the ultimate price per square foot comes clearer into focus. A custom home builder may never build the same home twice. She doesn’t have historical data for that specific home to look back on as a starting point. Knowing that custom home buyers often have specific products and amenities in mind, understand she can’t give you an accurate cost per square foot up front. Do you really want the cheapest house? Even if it was possible to get a reasonably comparable cost per square foot info from multiple builders, are you going to take the lowest price automatically? How do you suppose the builder with the lowest price per square foot was able to do it? Basements? Attics? What if, due to a sloping ceiling, you can only stand up in a small portion of that attic? What about porches, a deck, patio or the garage? If the garage space doesn’t increase a home’s square footage, why not build a 4-car garage? A silly exaggeration but any cost per square foot comparison is meaningless if the square footage of these areas is counted differently by various builders. When it comes building or even remodeling a home, like with most of the major purchases, you get what you pay for. So…if you choose to, use preliminary cost per square foot numbers to help you know if you’re “in the ballpark” budget-wise. But understand it’s just not a good way to compare builders and their homes. Since sophisticated rooflines and dramatic entryways don’t increase a home’s square footage, such homes cost more per square foot. Homes with higher ceilings or artful ceiling details cost more per square foot than homes with standard, 8-foot high flat ceilings. The Myth & Math of Cost per Square-Foot – Click here to download! More Discussion on “Cost Per Square Foot” The Cost of Home Building – Dreaming of Building a New Home, but Worried About the Expense? Pricing New Homes Per Square Foot: What No One Is Talking About How Much Will a Home Built With Insulated Concrete Forms Cost? want to know the cost of construction,the lot located in Etobicoke.